the elderly and pregnant women with luggage. Support is provided from the entrance to station vestibule up to boarding a train. The information is transferred further to the officer on duty at the station of destination or the interchange station en route. 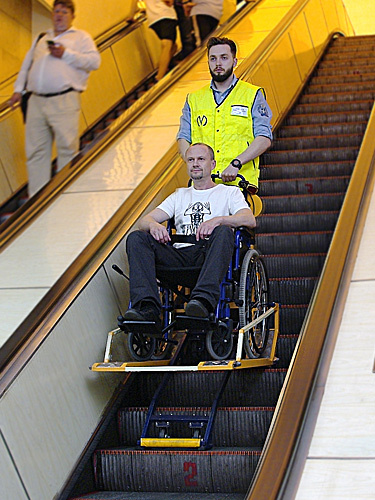 transporter for wheelchair passengers over metro escalators. Passengers may apply for assistance, calling Metro help desk on +7-800-350-11-55 (free call, 24h). 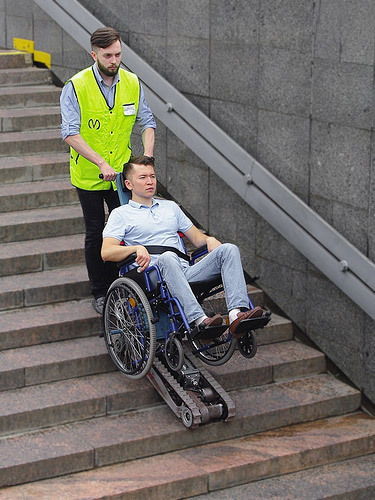 Support services are provided to the abovementioned categories of individuals with reduced mobility at all metro stations during the working hours of the subway. 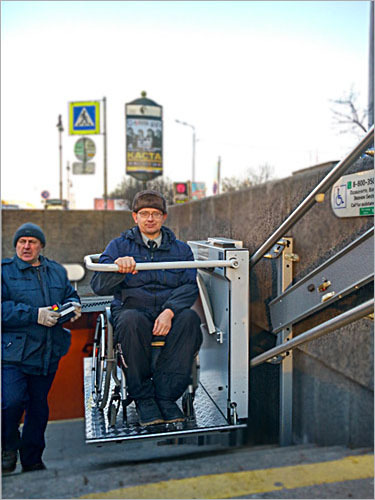 All St. Petersburg Metro Stations have been equipped with special devices that allow passengers in wheelchairs travelling safely on escalators and go up and down stairs. Metro staff will assist passengers with limited mobility. All station lobbies were equipped with the “Speaking City” radio information system. This equipment is installed over the entrance doors and on the cabins of the on-duty staff members near turnstile No. 1. Bright yellow lines and tactile raised lines have been painted along the edge of each platform on every station. 300 relief Metro atlases written in Braille. 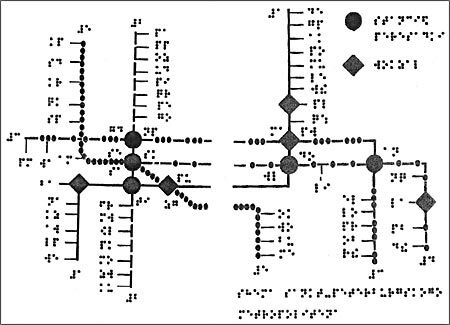 Each atlas shows all the lines and stations of the Metro system, with inscriptions written in Braille. The Metro has also acquired an additional 70 relief Metro maps with Braille text, which are located in every station lobby. These maps are intended to improve the quality of services provided to visually-impaired passengers. Please talk to a Metro employee at a control checkpoint or any station cashier if you would like to use a Braille Metro map. Informational signs will be set up to allow passengers finding their way quickly. New train cars on Line 5, and one train car on Lines 1, 2, 3 and 4 have been equipped with scrolling text boards that let the passengers know which station the train is approaching. All station vestibules have been equipped with induction systems compatible with hearing aids.